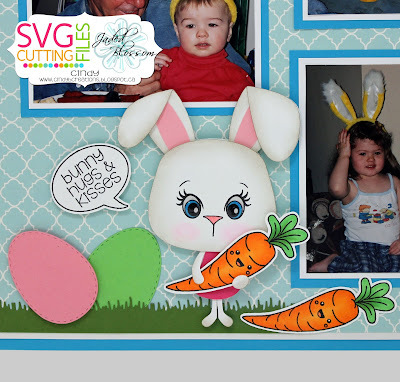 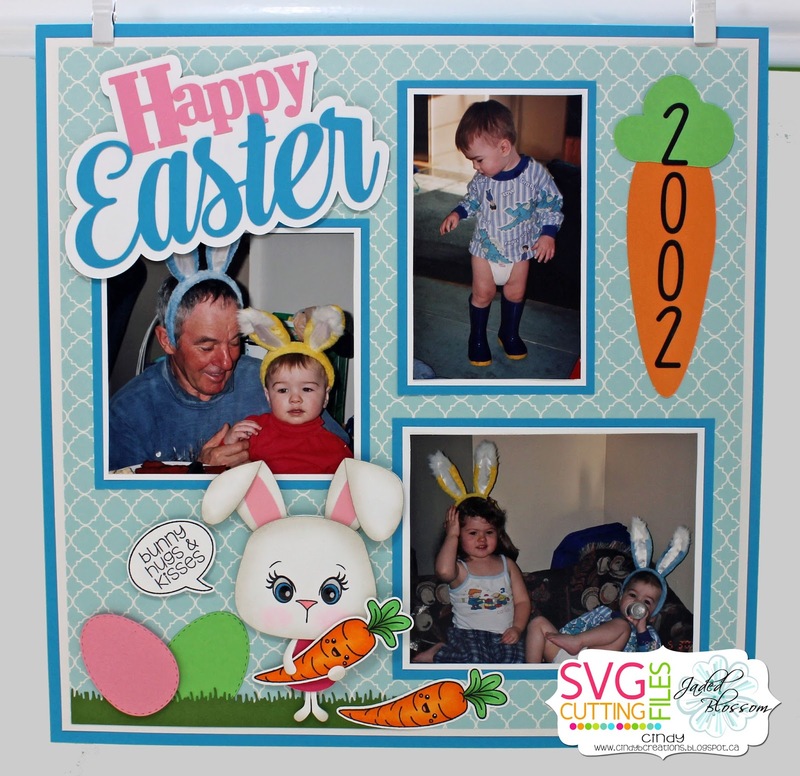 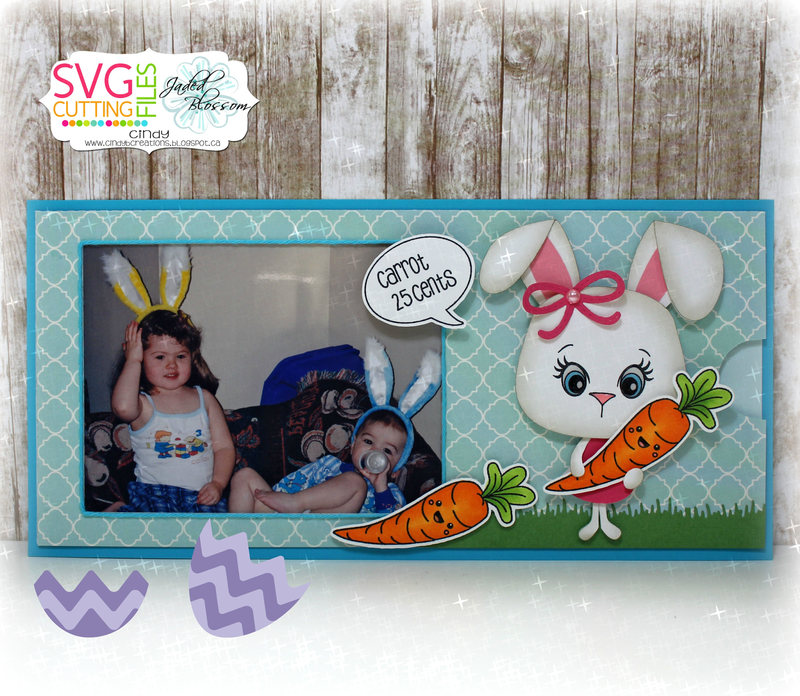 I have two Easter projects to share with you today, my first one is a Layout. 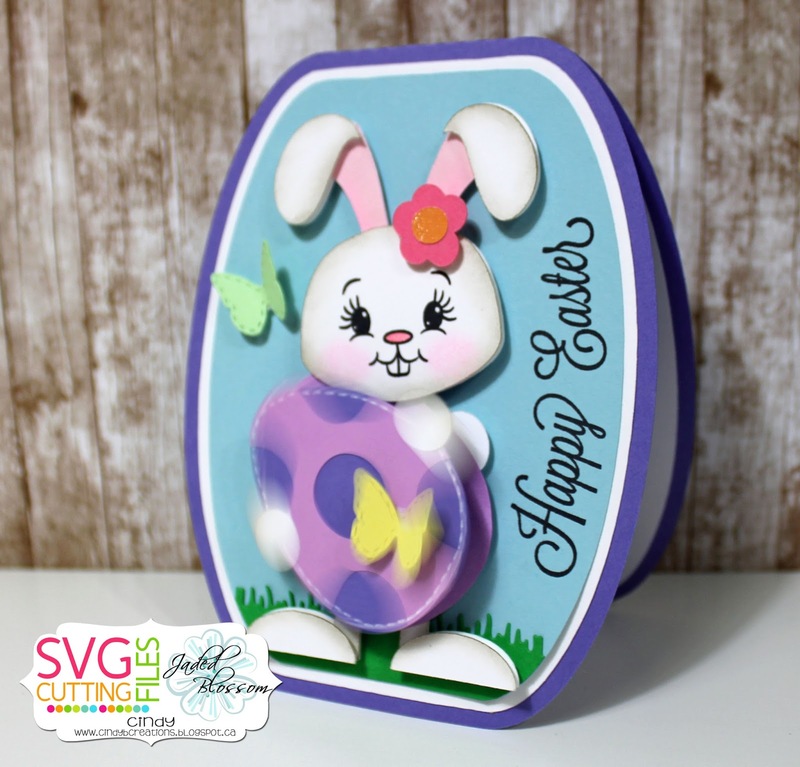 Alphabet Dies for the numbers for the year, the Spring Dies for the grass and eggs and from SVG Cutting Files I used Short Eared Bunny for the cute bunny and from Peachy Keen Stamps I used PK-1373 Chickie Face Assortment. PK-1511 Black Eyed Critters Faces 1-1/8 inch.. 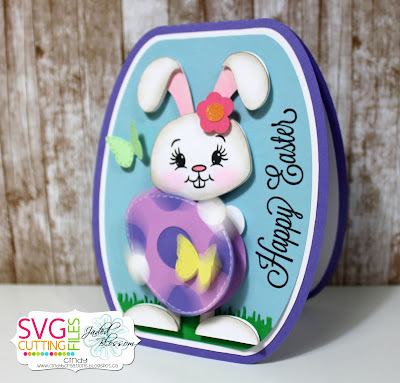 I also used an action wobble so the egg wobbles..